A garage is an immensely valuable space for any home. Most people use it as additional storage for DIY and garden tools, kids’ bikes and other domestic paraphernalia – and some people even park their car in it! But despite a garage being one of the most used and useful spaces in the home, it also tends to be one of the messiest areas. A thorough declutter and spring clean (which, incidentally you can carry out at any time of year) is the obvious answer to turn your garage dumping ground into a slick and organised space to store all those bits and bobs that are needed around the house, plus your car. Here are 6 steps to help you get there. Assuming you’re not a hoarder with wall-to-wall stuff having accumulated in the garage for years, spring cleaning this area could be a perfect weekend project. Take a good look at what’s there and make a plan of what you want to have accomplished by the end of the weekend. A garage cleaning checklist may come in handy at this point. Assemble your team of helpers to get the job done in double quick time, and perhaps offer suitable rewards as a thank you. Received wisdom states that pizza is always a popular currency for bribing reluctant teenagers, while the promise of a few beers at the end of the day may work wonders for adult helpers. With the garage empty, now is the best opportunity to give the entire space a top-to-bottom clean. Garages tend to develop a musty smell over the years, largely as a result of too much clutter and too little ventilation which restricts proper airflow through the space. Once your garage is completely empty, throw open the doors and windows wide and let some fresh air in. Using an electric fan positioned at one of the open windows or by the door will help you speed up the airing process. Next, use a brush or broom to sweep any flat surfaces and wall shelving to remove the cobwebs, dirt and dust that’s built up over time, not forgetting to reach well into the corners. You may want to use a dust mask for this messy part of the task. Brush all debris onto the garage floor and then sweep it out onto the driveway where it can be disposed of. Finally, give your garage floor a thorough wet wash, using a garden hose with a nozzle attachment or a jetwash for a deeper clean. Choose a biodegradable, phosphate free, gentle cleanser that won’t harm your plants or lawn if necessary. If your garage has any side windows or door windows, use a sponge, household detergent and warm water to scrub them clean too. Stubborn stains both inside and out can be removed with white vinegar, followed by drying with a microfibre cloth or good old scrunched up newspaper to eliminate any streaks. Next, turn your attention to the garage door. Pre-rinse with water from a garden hose, then clean with a sponge and gentle household detergent before giving it a final rinse. Now is also a good time to inspect the door for obvious defects and signs of wear and tear. Look out for rust and warping in metal doors, while timber doors may show cracked or flaking paint that needs attention. In fact, it’s a good idea to check over the entire garage door system to make sure everything is in full working order including any automated door closing mechanisms. Check the moving parts and lubricate springs, rollers, tracks, hinges and pulleys. 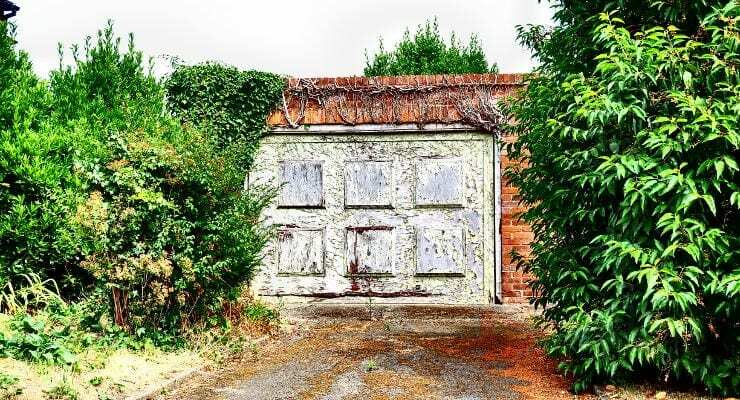 A securely operating garage door will protect the contents inside, including your car, so if there are any repairs to be carried out, consult a professional garage door company without delay. Having cleaned all elements of the garage and sorted through all the contents, it’s time to put all the items you’ve decided to keep back in the garage. But this time, make sure there’s a place for everything and every is its place. Investigate garage storage solutions that make effective use of all the available space available so that you can stay organised, keep your floor space free and make future garage spring cleaning jobs much easier and faster.